We had a grand time in Chicago in September at the Sew Pro Convention; Lynn and I went with our friend and production guru Rae to soak up the collective knowledge of attendees and instructors, and figure out where we can improve what we’re doing here at The Stitch. You can totally imagine Whistler’s mother rebelling against this crazy cacophony of color and turning to grays and blacks for her palette, as reflected in the famous painting. His grama, on the other hand, is neither afraid of color nor texture. She takes risks and simply goes about being her authentic awesome self, to the very tips of her Kaffe Fassett shoes. 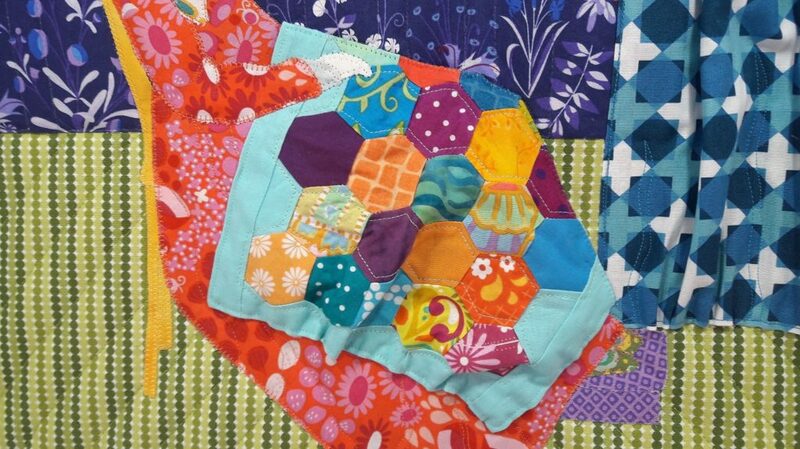 Check out the rest of the participants in the Sew Pro Stars Blog Hop to see what other prizes they are offering, and what lessons they learned! LOL…yall are crazy and fun and it was great meeting yall. I love your project!! It’s perfect! Could that quilt be any cooler? I don’t think so. Oh my! 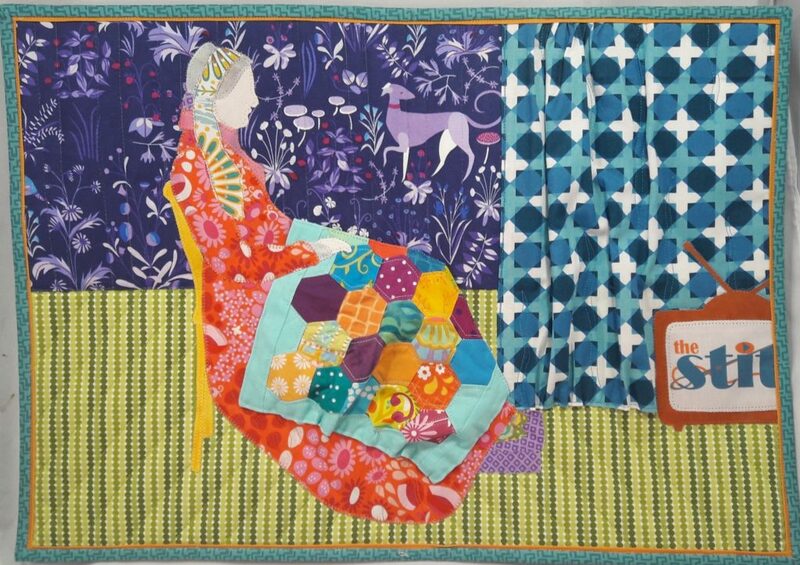 Love your quilt and love your takeways from the conference. The be yourself one is a biggy for me, and the knowing your audience. I’m taking deep breaths and building up to a newsletter, and typing this I can hear Pat’s Sloan’s keynote saying “stop think, start doing”! Looks Awesome! I remember seeing you guys taking those pics on our way to dinner! love it! What a great project! The art in the parking garage was so cool, and you guys rocked it!! It was great meeting you both at Sew Pro. Can’t wait to start receiving the newsletter. Loved the photos you took- very clever. Love you guys and how you stay “On Brand”. It’s awesome!!! You guys are beyond creative!!! I love you site and totally enjoy following your social media feed too!!! Keep rocking it!!! It was great to meet at Sew Pro!! !